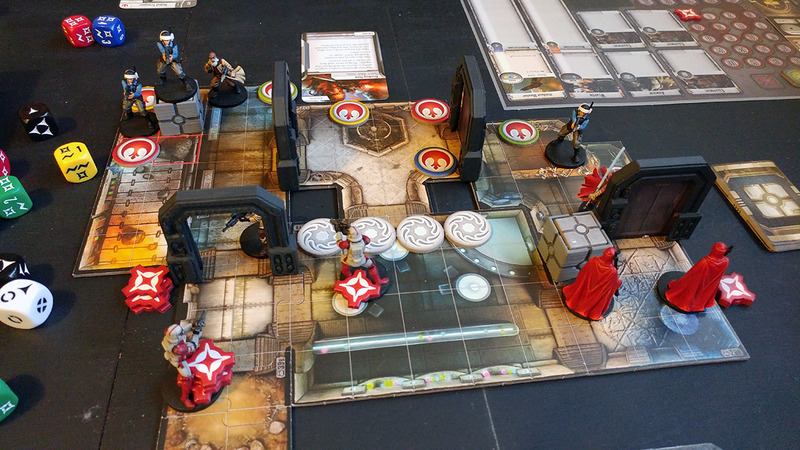 Today’s post is dedicated to the pair of Star Wars games I’ve been playing lately – Imperial Assault and X-Wing. 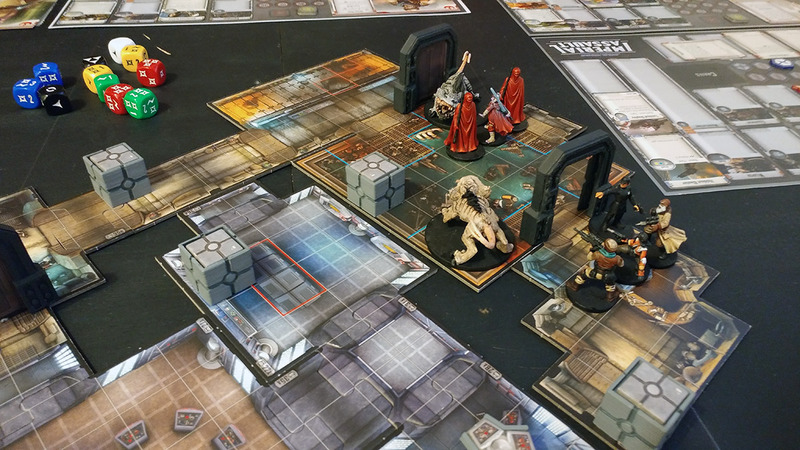 I’ve been playing the Imperial Assault campaign with two friends since I picked up the game last October, and we’re very close to the end of our first campaign with just the finale left to play! I finally managed to scrape a couple of wins vs the Rebels after they spent the majority of the campaign being pretty much untouchable! I got off to an early lead by winning the initial mission, before a slew of defeats left my Imperial troops broken and battered. As we’ve gone on though, I’ve been able to win ‘Incoming’ and ‘The Source’, which should have set me up well for the finale. I decided to use a little birthday money as well to further expand the collection, if only to get rid of those tokens in the box and replace them with actual miniatures, so I ordered the ISB Infiltrators, Agent Blaise, Lando Calrissian and Bossk packs. It doesn’t end there though – drunk on the sensation of having money to burn, I ended up falling down the rabbit hole good and proper! 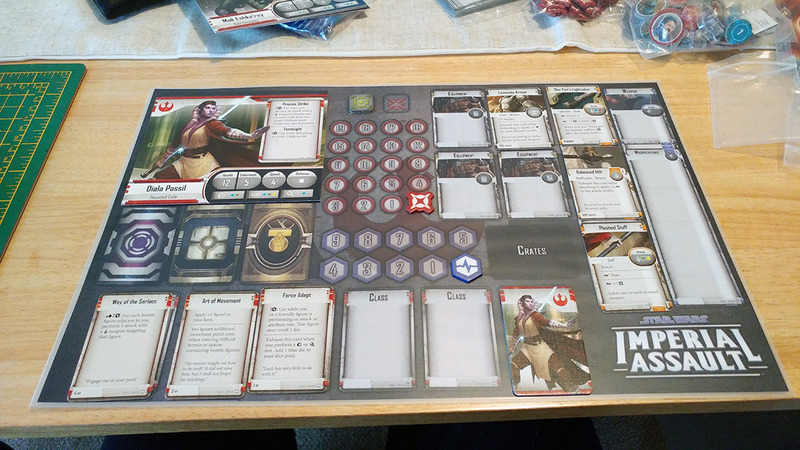 Stumbling around the internet, inebriated with the prospect of actually having money to spend on the hobby, I found the Twin Suns expansion on Amazon for £18 – so it would’ve been rude not to have bought that as well! 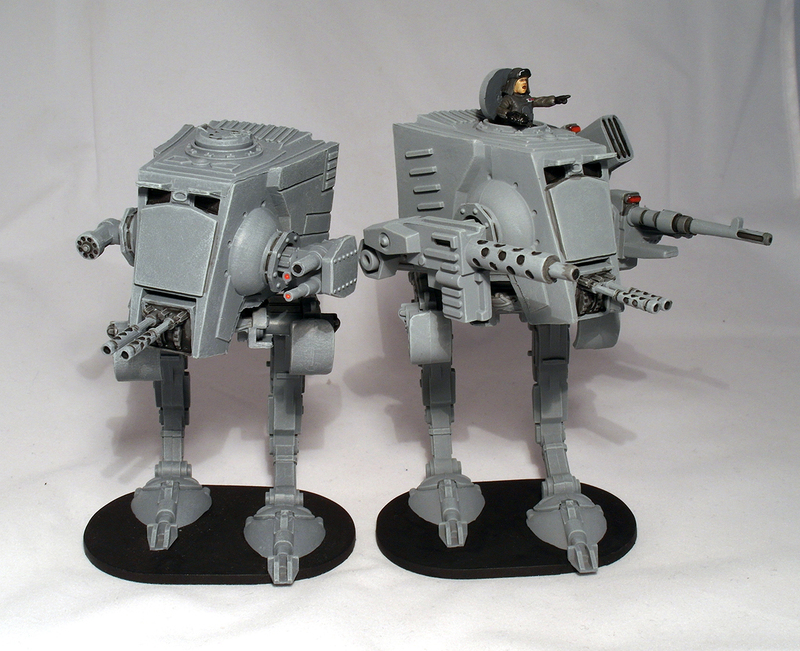 I’ve been wanting Twin Suns for a while, as those Heavy Stormtroopers are nice models which I’m sure would give me some much-needed firepower! 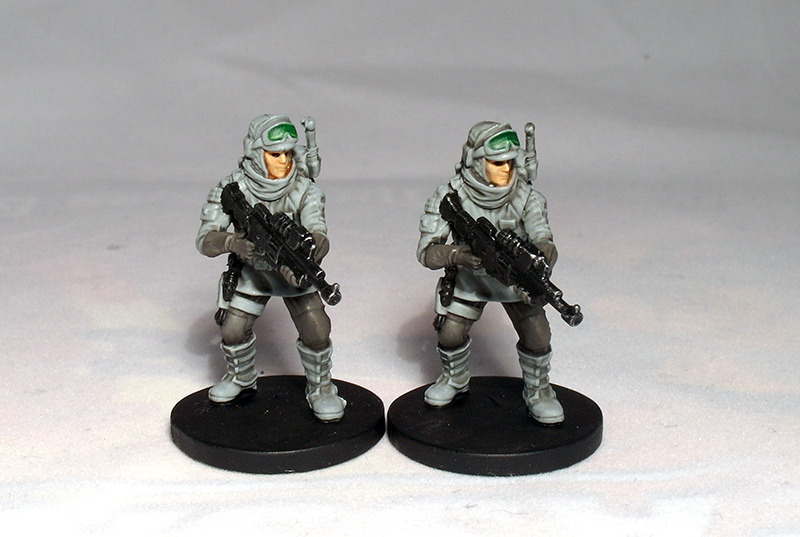 Of course, the fun doesn’t stop there – last Christmas I was given some Echo Base Troopers as a present, so Return to Hoth is definitely going to be my next Imperial Assault purchase once these two mini campaigns are done (and of course, I’ll just have to get Leia, Dengar and General Sorin at the same time!). These two were undercoated white, given a couple of basic colours and then washed with a 50/50 Nuln Oil/Lahmian Medium mix, which kept the fluidity of the wash while diluting it slightly so it wasn’t as dark. Along with these troopers, Christmas also saw me get given Greedo and a pack of Hired Guns, so these were next, along with IG-88 (who I picked up just after Christmas) and Bossk! 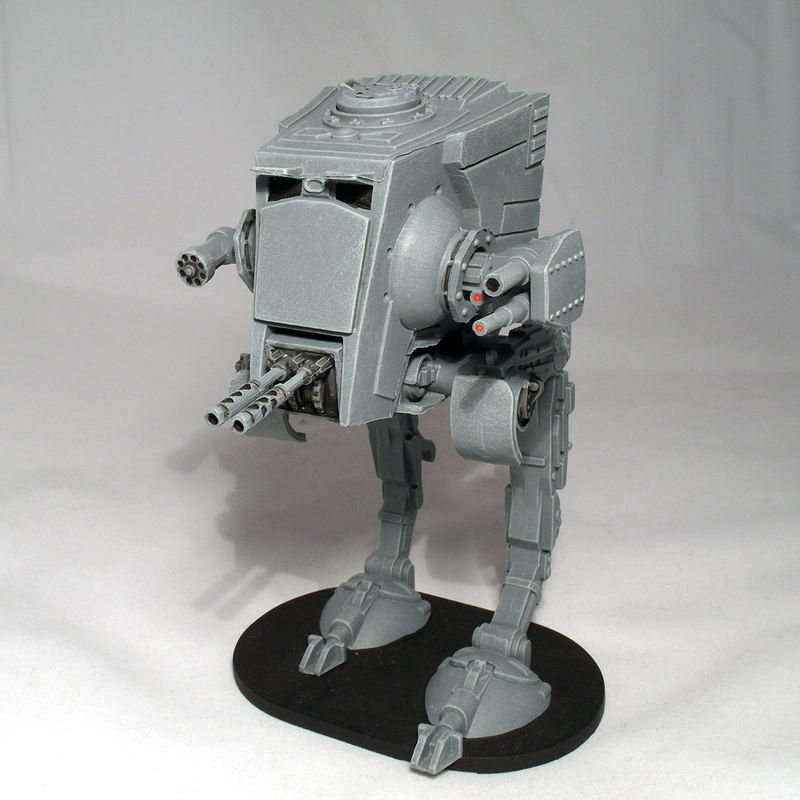 IG-88 was probably the simplest model I’ve done yet – A black undercoat followed by Leadbelcher, washed with Nuln Oil. I picked out some of the lenses with red and he was done! 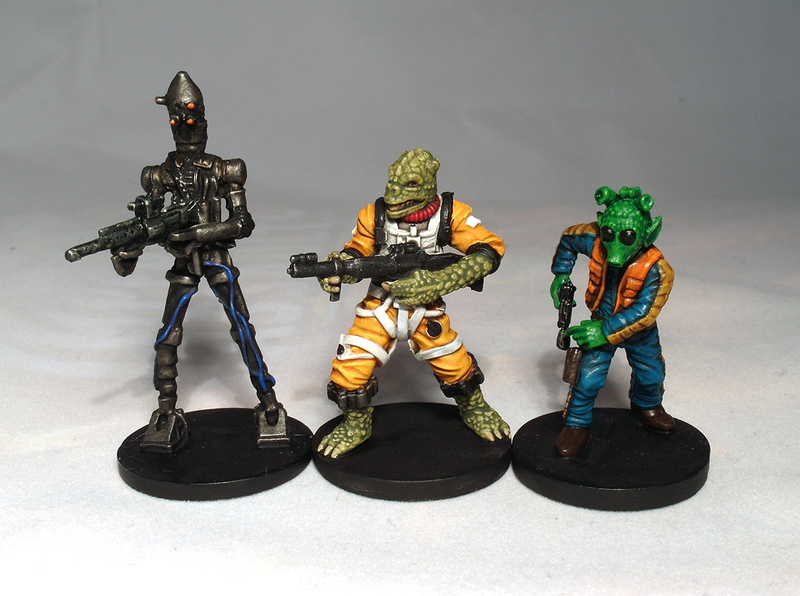 Bossk was also relatively simple – an Averland Sunset basecoat with a wash of Reikland Fleshshade, while the white areas were washed with a Nuln Oil/Lahmian Medium mix. His scales were painted with Tamiya Olive Drab which was also thinned with Lahmian Medium. 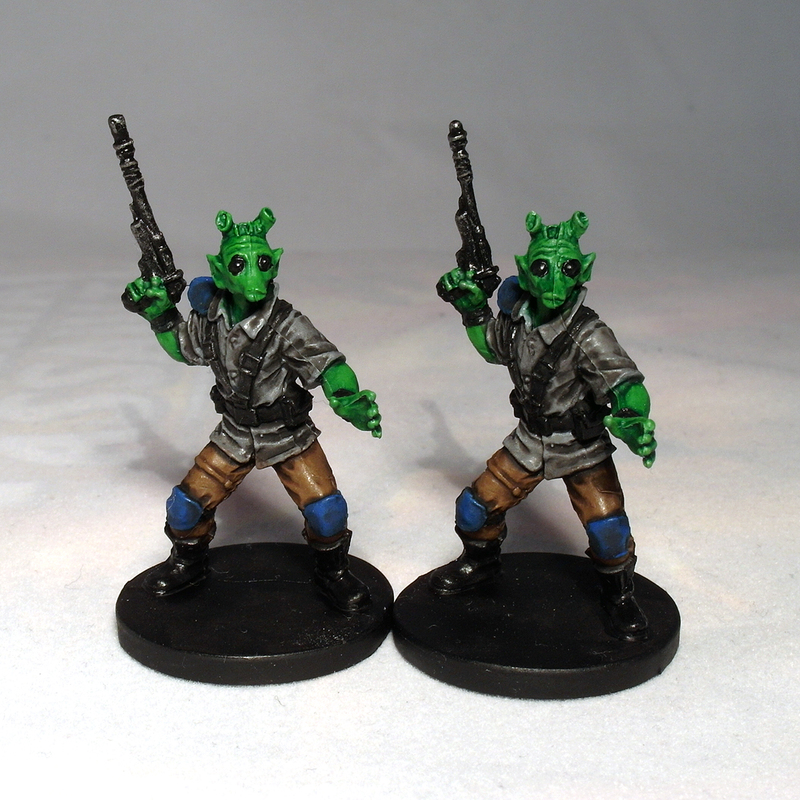 Greedo was fun to find the colours for – luckily I think I had enough in my collection to do him justice. I think the lighting in the photo is being very kind here, as he’s only really been given simple basecoats and washes so far. I’ve not been a fan of the purple/pinks used for these guys in their artwork, so I went with more neutral colours for them, but otherwise followed pretty much the same techniques with my other miniatures. 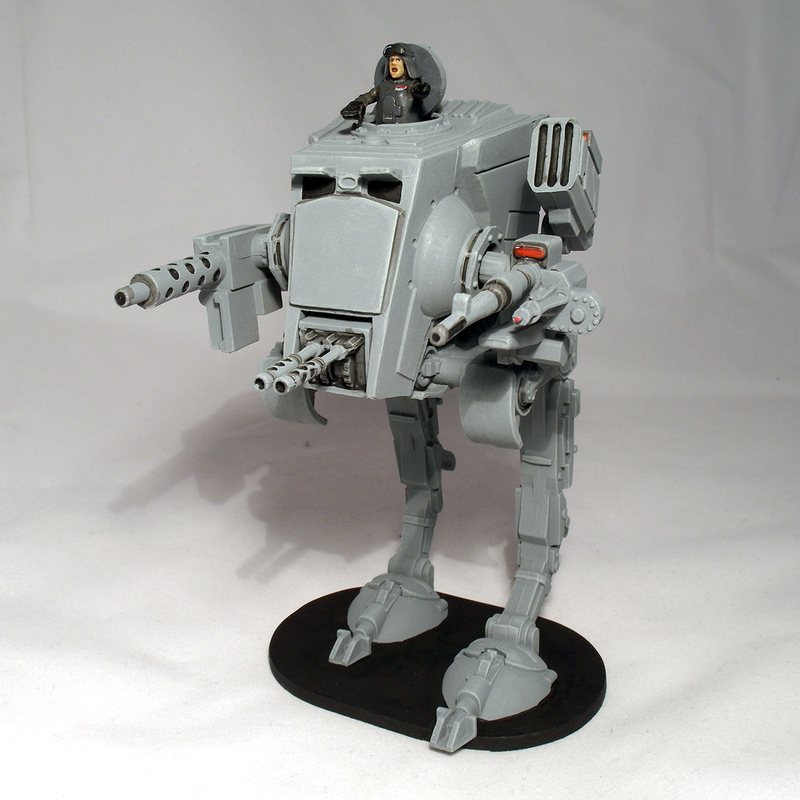 While I was working on Weiss, I added a little extra detail to my AT-ST. It’s still got a long way to go before it’s finished, but it’s definitely table-worthy in its current state! In the image above you can see the contrast between what I class as ‘finished’ Stormtroopers (on the left) in comparison with ones which I call ‘game-ready’on the right. The completed ones have had a layer of white added back over them to brighten them up while leaving the wash in the recesses. This is what I’ll eventually do to all of my other Stormtroopers in due course. 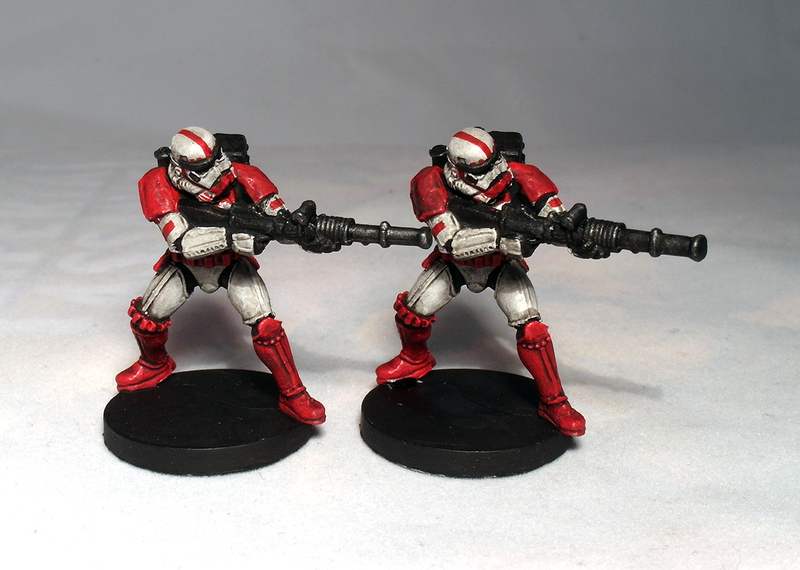 The first two Heavy Troopers and Kayn Somos from the Twin Suns expansion. 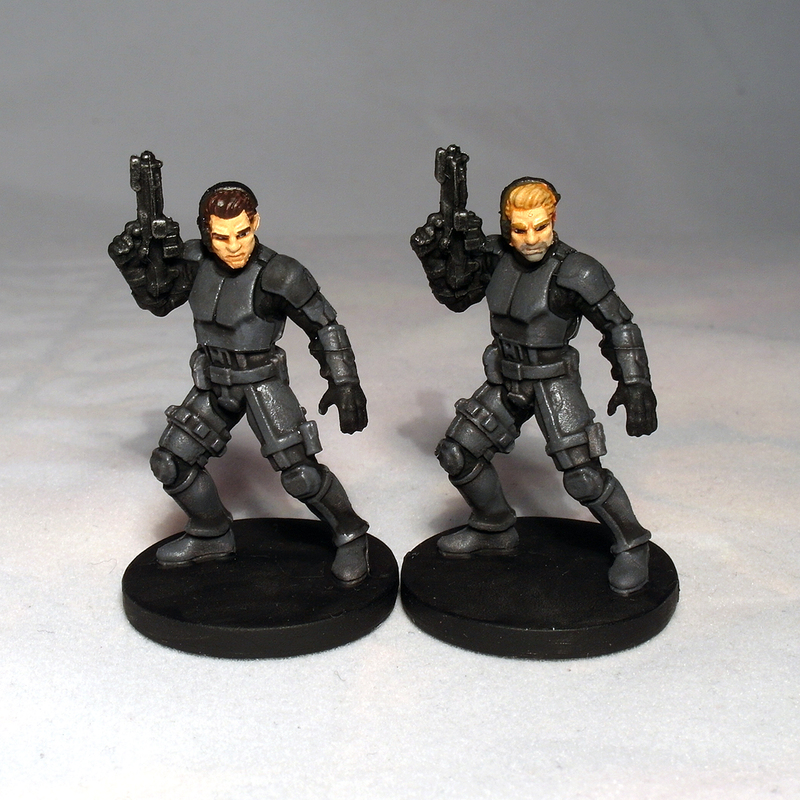 Dead simple to do – a white undercoat followed by the black undersuit, finished off with a wash of Nuln Oil. 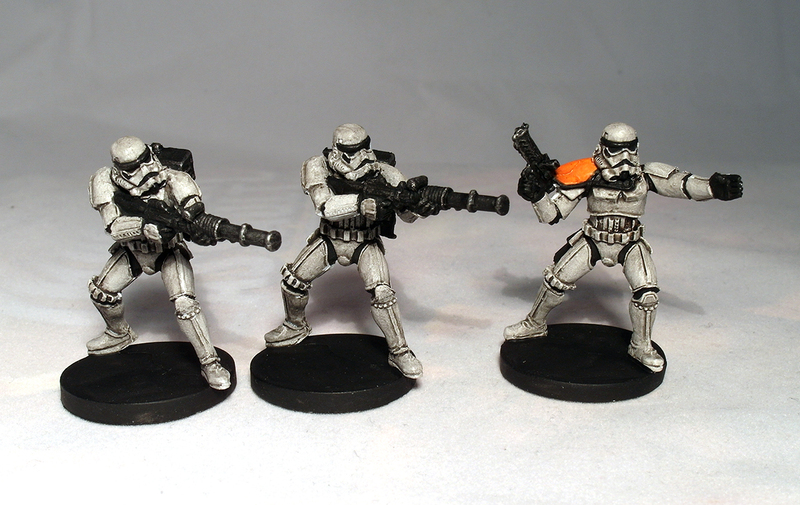 For the Elite groups, I’ve pinched someone elses idea of painting them like Shocktroopers, as you can see above. The main villain from the Bespin Gambit, Blaise is an Imperial Security Bureau operative, and so I changed the colour of his armour slightly so he stands out a little more from the rank and file Stormtroopers. These two share the same colours as Blaise, since they’re all members of the ISB. 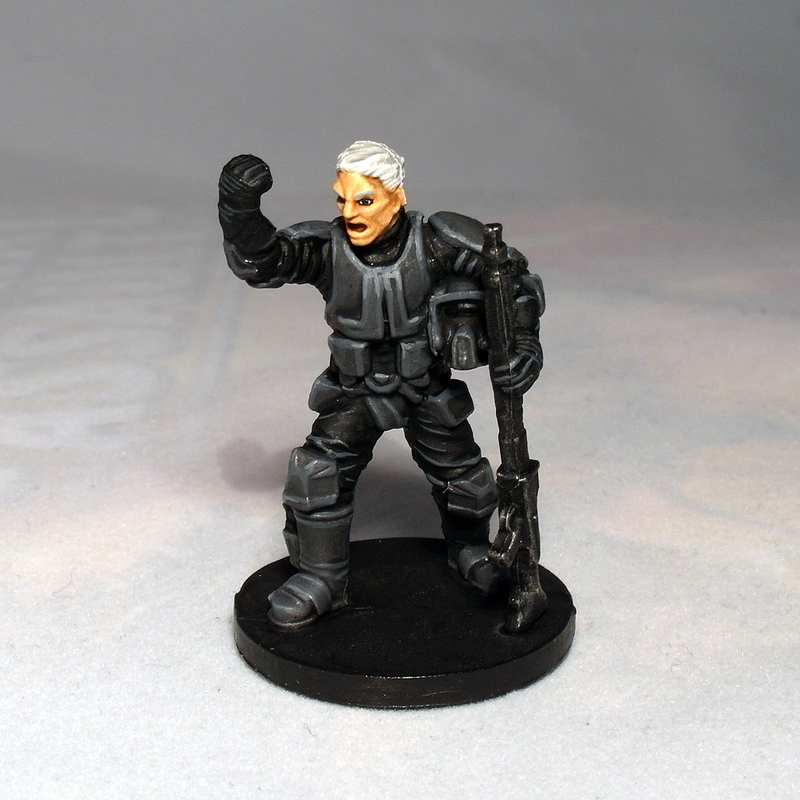 I further differentiated the two models in this pack by giving one lighter coloured hair and some stubble on his face. Quite how they’re meant to infiltrate a Rebel cell dressed as Imperial troopers is beyond me, though! 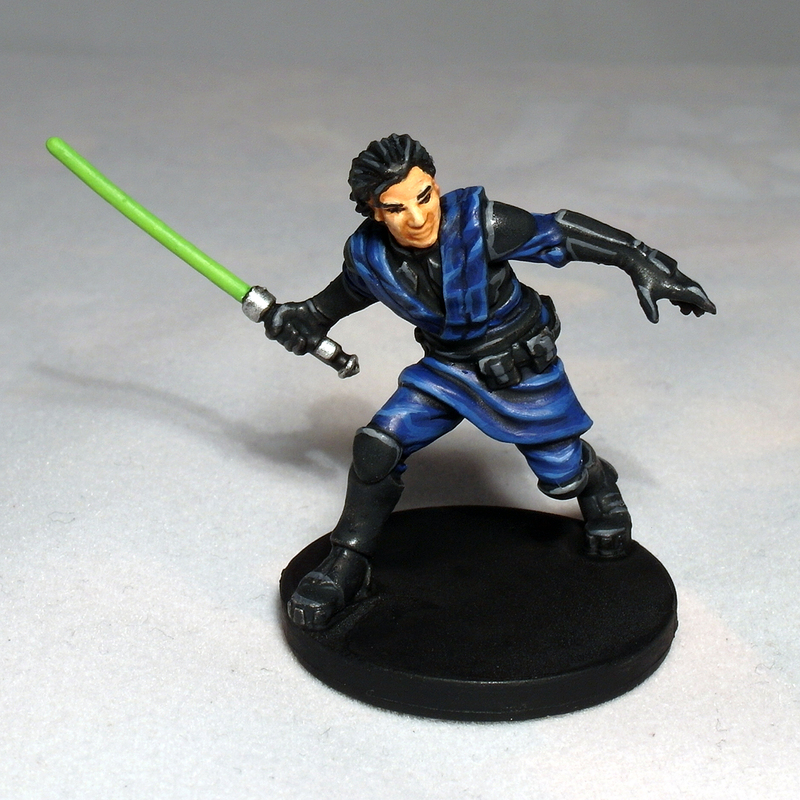 One of the two heroes from the Bespin Gambit, Davith is some sort of stealthy Jedi. I’ve not looked too much into his abilities yet, but I’m sure my friends will pick him for our next campaign! 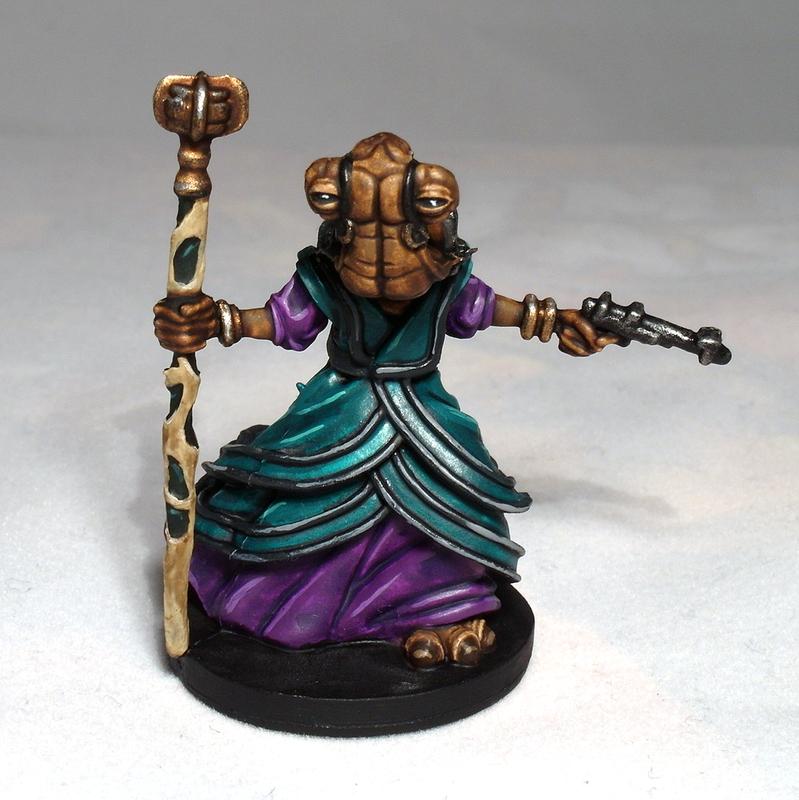 Murne looks like she could be quite annoying to face, what with her ability to trick one of my troops to fire at an allied model – she’s a lovely model though! 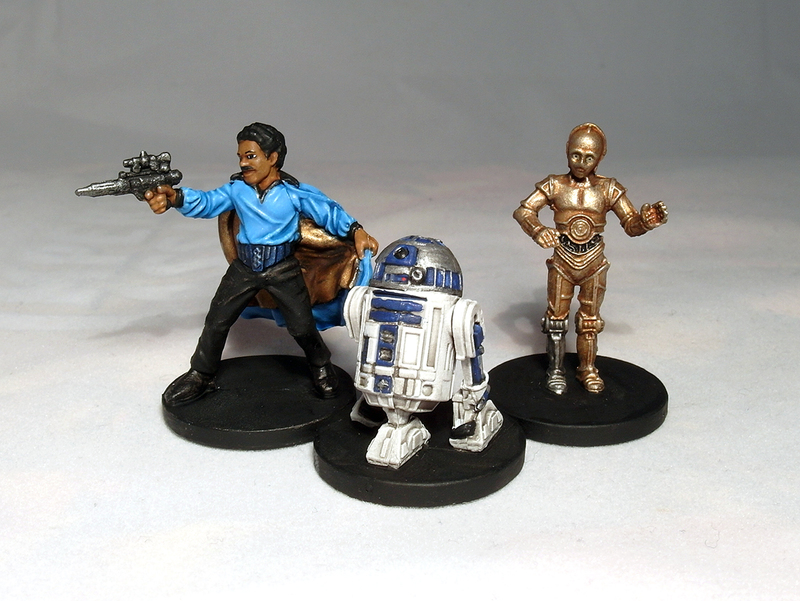 Of course, Bespin wouldn’t be complete without Lando! I know C-3PO and R2-D2 are technically from the Tattooine expansion, but they’re grouped here for convenience. All that’s left to paint the models pictured below, which I’m hoping to have game-ready within the next couple of weeks! 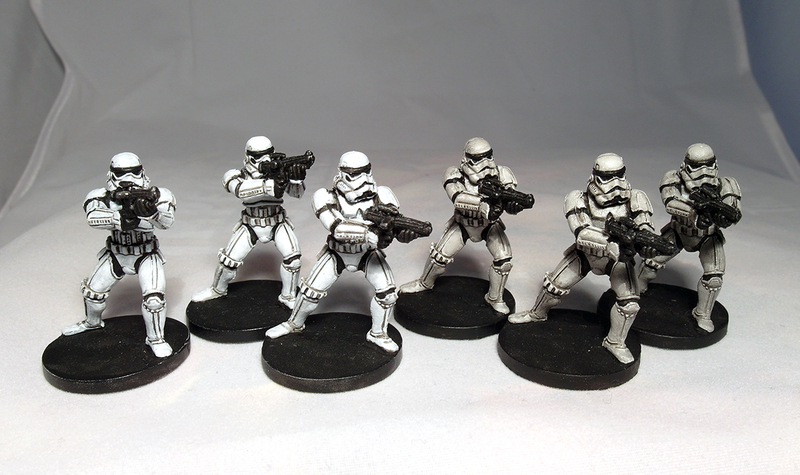 These Imperial Assault models haven’t had as much time spent on them as I would for say, an Infinity miniature, but giving them a white undercoat and thin coats of paint and/or the occasional ink wash has enabled me to get them painted up to a decent standard relatively quickly. I’m really pleased with this outcome though, as it means I can get a decent looking model churned out relatively quickly, and seeing them on the board all fully painted really does add to the look of the game massively. 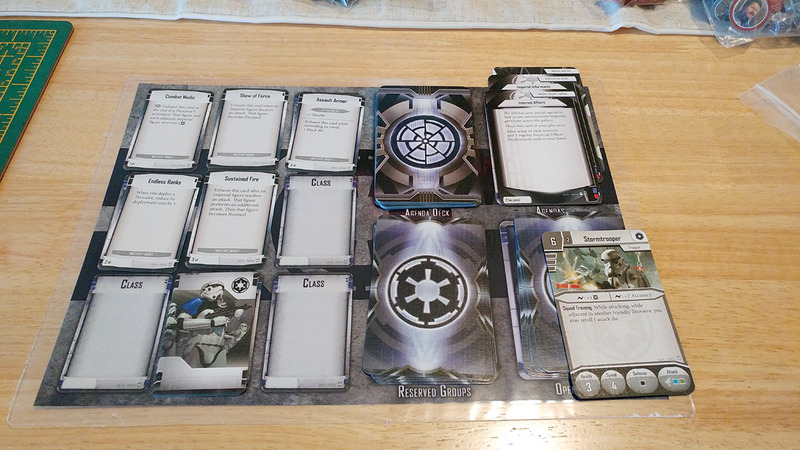 Speaking of adding to the look, one member of our local group got himself a 3D printer recently, which means I’ve been pestering him to print up some additional components for various games, Imperial Assault being one of them! We found some additional Door, Crate and Terminal templates which really add to the look of the game – I’ve given them a simple colour scheme for now, so as not to overshadow the game too much, but I think you’ll agree, they really do add something to the table! 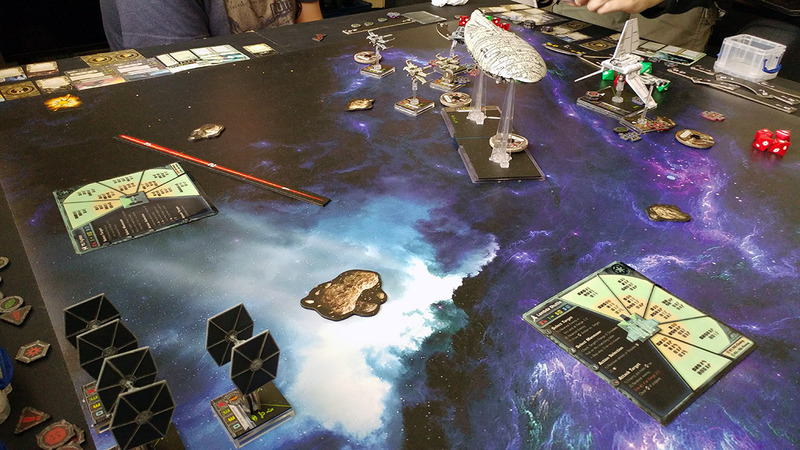 In other Star Wars gaming news, a separate group of friends and I have been continuing our way through Heroes of the Aturi Cluster campaign. We’re now onto the 3rd story Arc; Chasing Phantoms. Rather than the usual way of playing, we’ve just been working our way through the missions one by one in consecutive order. I’ve been labelled ‘Captain Liability’ by my wingmen, on account of my somewhat gung-ho attitude and uncanny ability to find an asteroid to fly into almost every mission! In preparation for some of the later missions I’ve also picked up an Imperial Lambda class Shuttle, as it features in a couple of the upcoming missions. 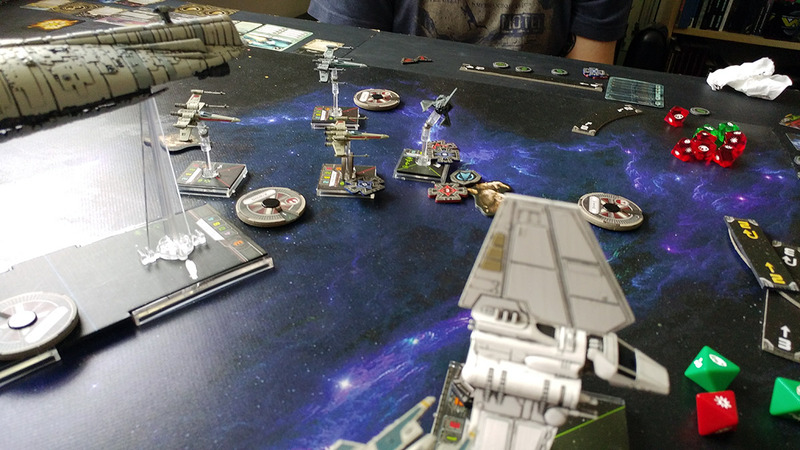 What’s been great about X-Wing though, is that it’s brought a few non-gamer friends into the fold due to their shared love of Star Wars, which is great to give them a little window into my hobby! As well as the Imperial Assault components, I’ve also requested some 3D printed stands for some Asteroids which I’m going to make out of lava rocks – perhaps that’ll stop me flying into them now they’re more than a flat token on the table! That’s all for now though – thanks for reading this far! 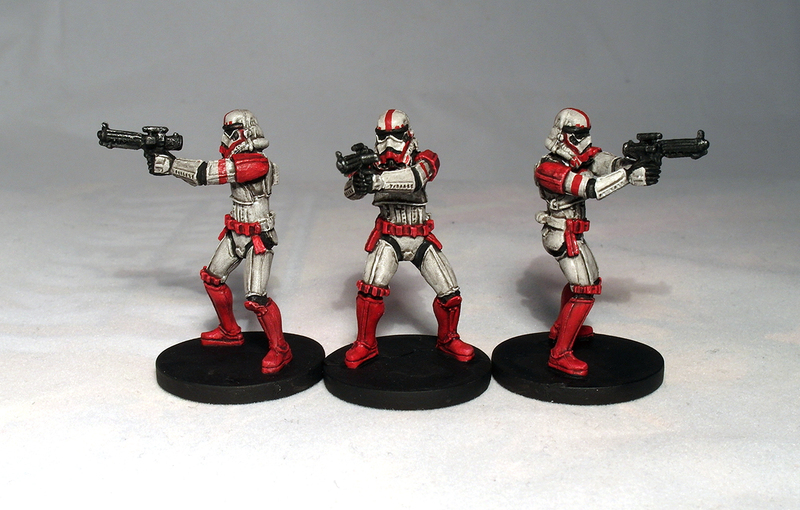 I’ll hopefully have the rest of these Imperial Assault figures completed by the time of my next post!